[post_content] => There is still time to make a nomination for the Society's fellowship and outstanding achievement awards recognising contributions to the homeopathy sector. The fellowship is open to members who have produced innovative work in research or new methodology or made a significant contribution to homeopathy, whether in practice, promotion or teaching. 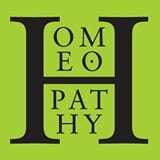 Excellence in the practice and promotion of homeopathy in the last two years is rewarded in the outstanding achievement award which is open to practitioners, members of the public or groups. Nominations close at 5pm on October 31 and the awards will be presented at the Society’s 2019 AGM in the spring. There is still time to make a nomination for the Society’s fellowship and outstanding achievement awards recognising contributions to the homeopathy sector.